This mini kit is one of an ever growing, very popular range of small stitchery Christmas Decorations. Currently there are 15 different designs in the range. The designs feature frequently used embroidery stitches, with easy to follow instructions. 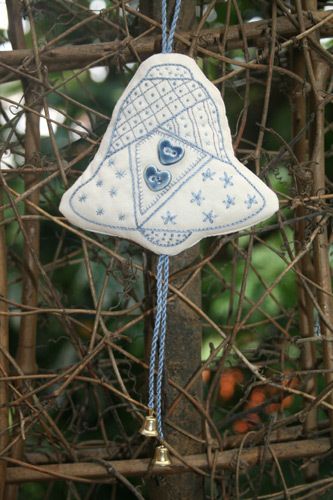 The kits includes 2 of our beautifully hand made Annie Lane Buttons.